Welcome! 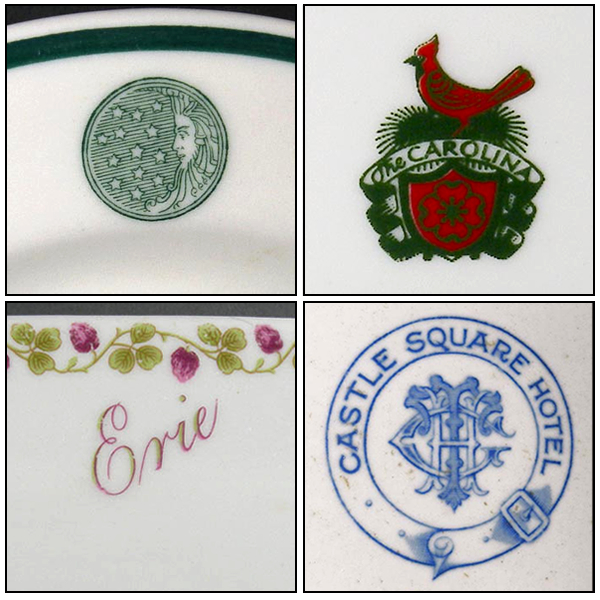 We love patterned china that is so well-loved by collectors, but there's something about topmarked patterns and the hunt for their sources that remind us of a never ending scavenger hunt. Here are a few in the shop right now, from hotels, a railroad, and a very large company whose products are found in every home. Tygart Trading Post is the exclusive outlet for our large collection of Carr China, and of course we also have vintage restaurant china (and railroad dining car china added frequently) from the major American manufacturers. And we also offer the largest selection of flip-top bowls - those heavy bowls made with china or glass bases and the addition of hinged metal lids that "flip" back on themselves. These held sugar, salt, condiments, soda fountain toppings, and for the megasized ones, cheese and crackers for hotel bars and buffets. Thanks for stopping by our store, and be sure to visit our website that's devoted to all things Carr China.